Hinge Size: 2.5" x 1.25". 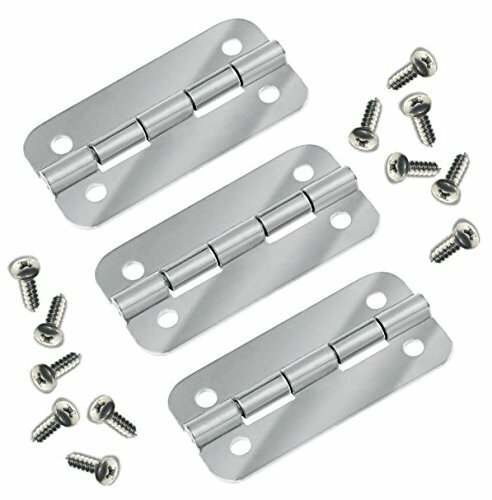 3 Stainless Steel Hinges and 12 Stainless Steel Screws Included. Fits all 25-165 Quart Rectangular-Shaped, Hinged Igloo Coolers. Hinge Size: 2.5" x 1.25"